In anticipation of the Dine Newport Beach Restaurant Week, we got a sneak peek of the menu at the popular coastal Bayside Restaurant. I have not eaten at Bayside since we celebrated my daughter’s baptism at Bayside almost nine years ago, so I was excited to return. 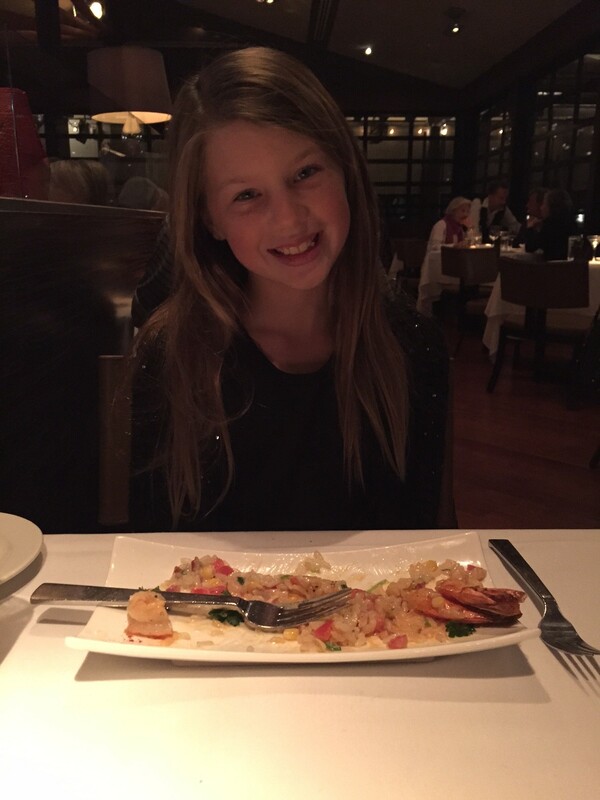 Since the restaurant has such a strong meaning for my daughter, I decided to bring her with me to dinner. 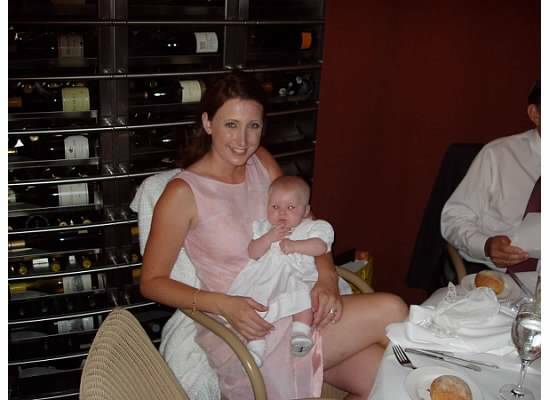 We both got dressed up and drove to the beautiful restaurant for a mother-daughter dinner. Bayside has a chic ambiance where guests feel at home. When we arrived, we had the option of sitting in the quiet dining room or the dining area that surrounds the bar where live music was playing. Since we both have a love for music, we sat at a semi-private table near the bar where we could listen to the music while dining. Our dining experience began with a warm roll and butter before starting one of the main courses on the Dine Newport Beach Restaurant Week menu. 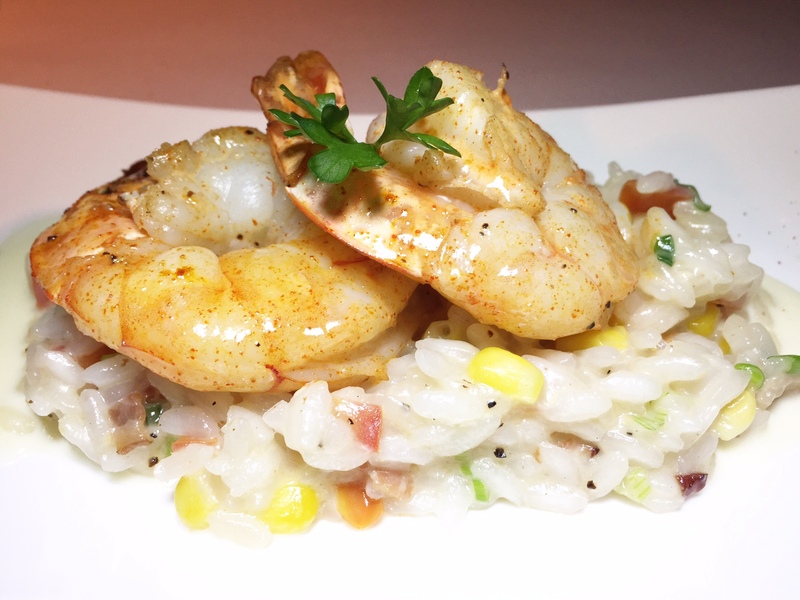 We started with the pan roasted jumbo tiger prawns served over a bed of risotto with summer corn, tomatoes, green onions and smoked bacon. The bacon brought out the robust flavors of the pan roasted tiger prawns, and the risotto was cooked with the perfect texture. We could smell the aroma from the soy glazed organic Scottish salmon before the plate was placed on the table. This aromatic dish tantalized our senses, and we could not wait to take the first bite. 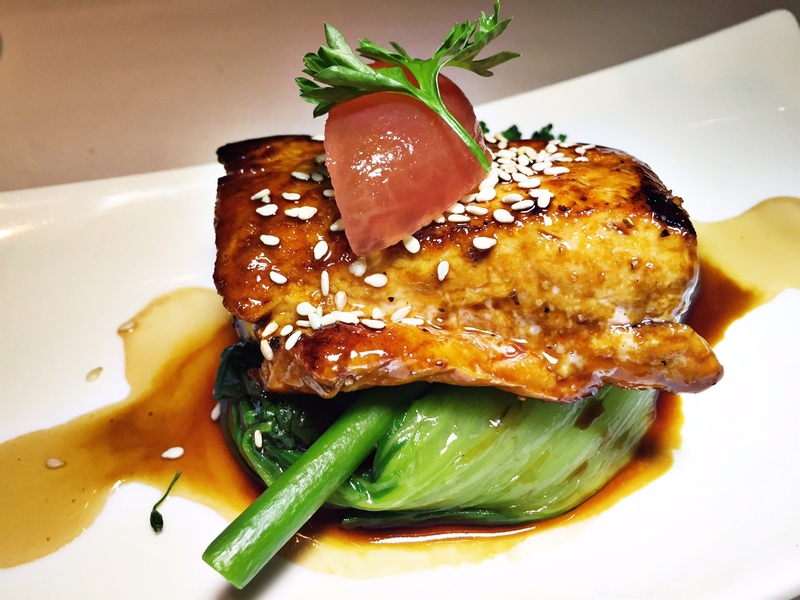 The soy glazed salmon was served with wilted spinach, baby bok choy and broccoli with a ginger ponzu sauce. The salmon practically melted in my mouth and the sweet ginger ponzu sauce brought out the rich flavors of the fish. While I did not think that my daughter was going to like the slow roasted American kurobuta pork chop…it ended up being her favorite dish of the evening. The pork chop was thinly sliced and served with bacon mashed potatoes, lady apple, Brussels sprouts and apple condiment. The apple was our favorite feature of this dish, and the pork chops were juicy and tender. Finally, we ended with the 10oz. 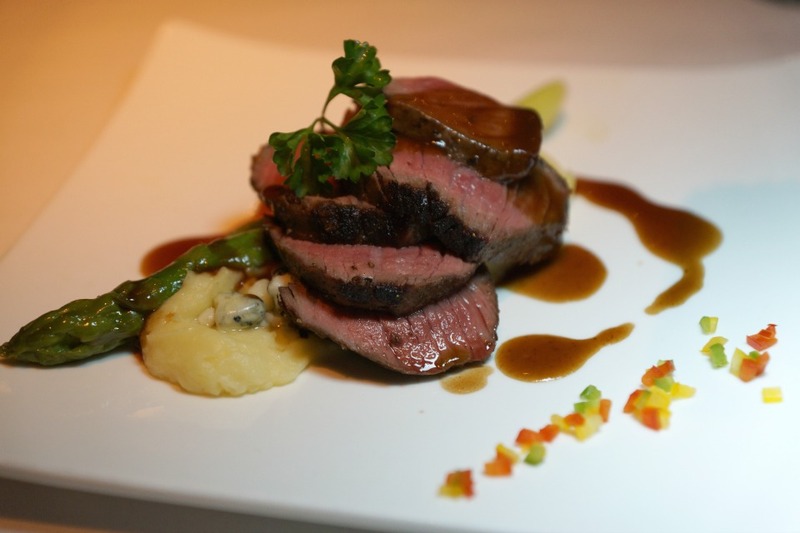 Top sirloin “culotte” steak with blue cheese potato fondu, red wine reduction, and asparagus. The tender steak paired with the blue cheese potato fondue was a little slice of heaven, and I highly recommend ordering this dish when dining during restaurant week. 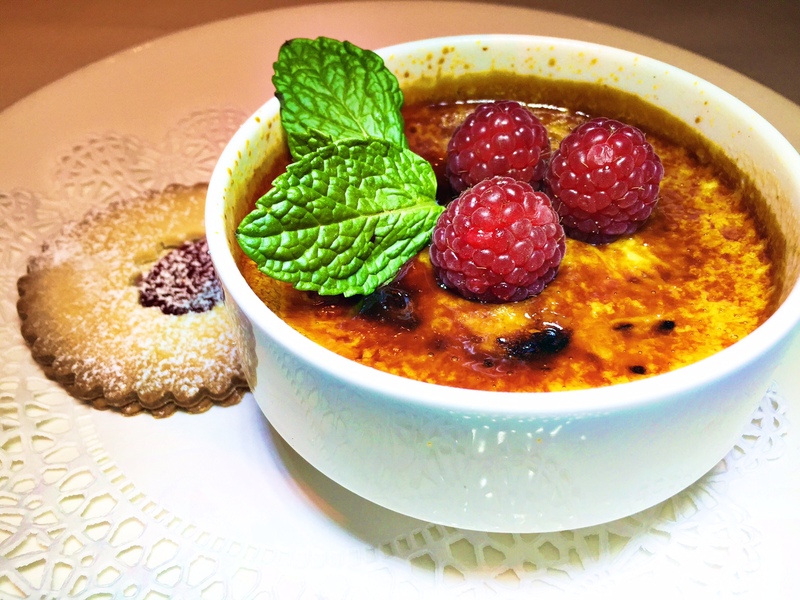 Just when we thought that we could not eat another bite, the server brought us their popular creme brûlée. My daughter and I loved every bite of this sweet dessert while strengthening our mother-daughter bond. It is not just the food at Bayside that is wonderful but also the incredible staff. All of the staff members at Bayside make their guests comfortable and at home with their fantastic hospitality. 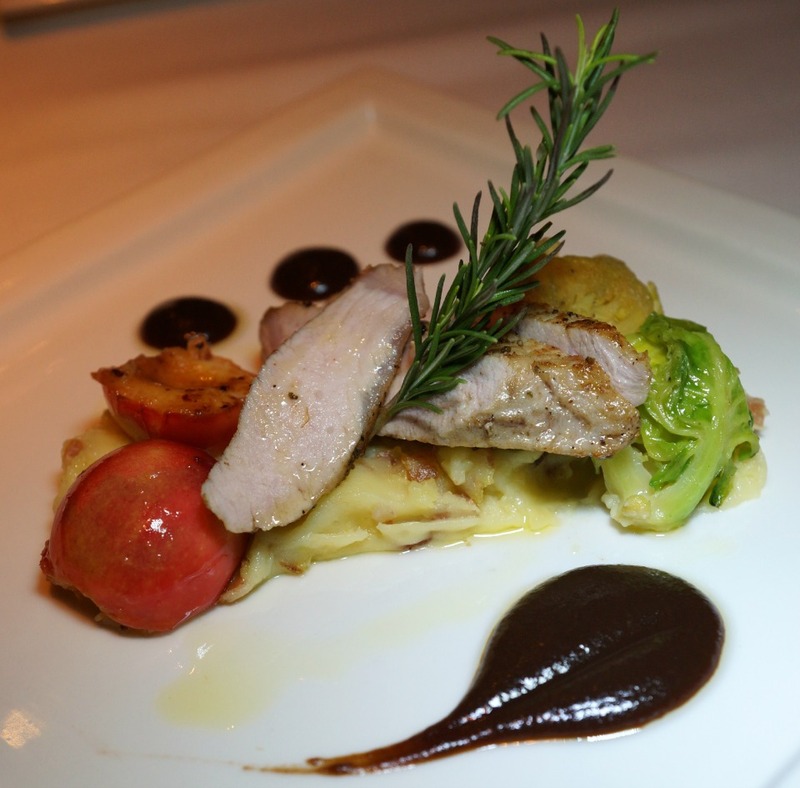 The Dine Newport Beach Restaurant Week is happening from January 19th through February 1st. All of your favorite Newport Beach restaurants will feature their most popular menu items with a prix fixe three-course menu. The Bayside Restaurant week menu is $40 per person for dinner and $25 for lunch (including a glass of house red or white wine). Make your reservations now to dine at Bayside Restaurant during Dine Newport Beach Restaurant Week. 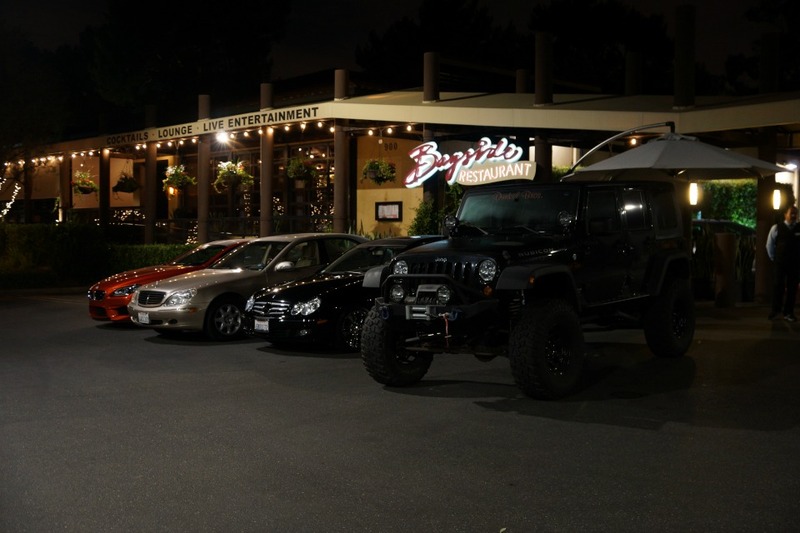 Bayside is located at 900 Bayside Drive in Newport Beach. Reservations are available by calling 949-721-1222.